I know I promised to blog about what goes on during guided reading...well I finally got around to take pictures today. My class has successfully mastered all of the stations going on in my classroom and because of this, I am starting to see an improvement in fluency, comprehension, vocabulary, spelling, and grammar! So exciting. Sorry this is blurry, but it is updated daily. My four groups rotate randomly and every morning, the students run into the room to see where they will be. So here are the four stations that were completed today. 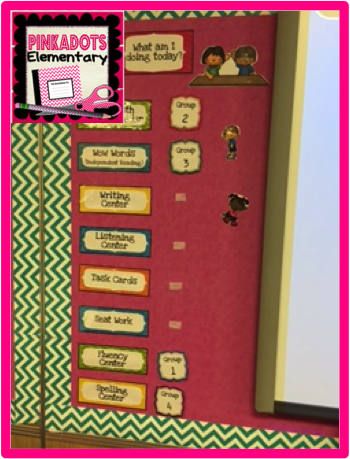 I only take 1 or 2 groups per day, so students will usually hit each station at least once a week. My students absolutely LOVE the fluency center. It is certainly the most popular for a few reasons. 1) They get to use the fun little whisper phones. 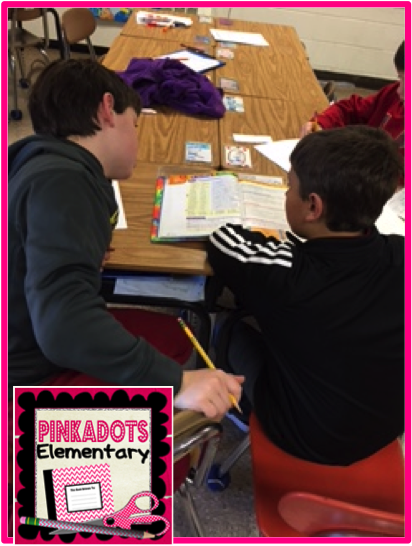 2) They get to evaluate a partner on their fluency. 3) They get to use a little timer to time themselves reading. I purchased the fluency cards from TPT in Teaching with a Mountain View's store. They are GREAT! I also put them into 4X6 photo albums from the Dollar Tree. It was easier than laminating and works out perfect for this center! The next station everyone wants to be at is the guided reading table. Of course they want to read with me. They love showing off their skills of the new strategies we've been learning in the classroom. I have been using Reading A to Z to download, print, and assemble guided reading books on student group levels. It's actually amazing! The website gives a whole CCSS aligned lesson for each book. You can search by book title, strategy to be taught, and there are even pared (fiction and nonfiction) texts available! Our spelling center is great for phonemic awareness, word sorts, analogies, and grammar. It is meaningful work that has really made a difference in their spelling. 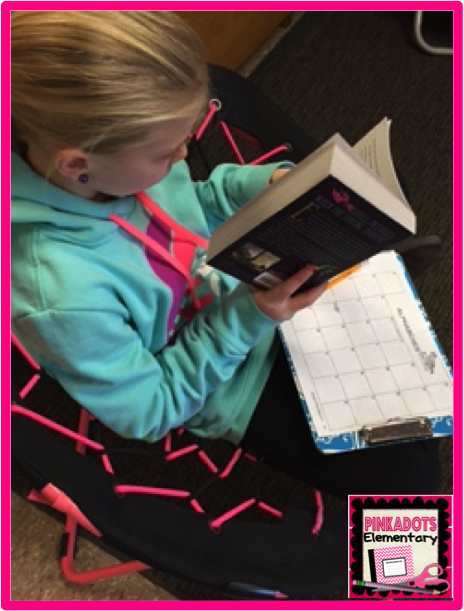 Our independent reading station focuses on WOW words. Each student has an alphabox sheet. 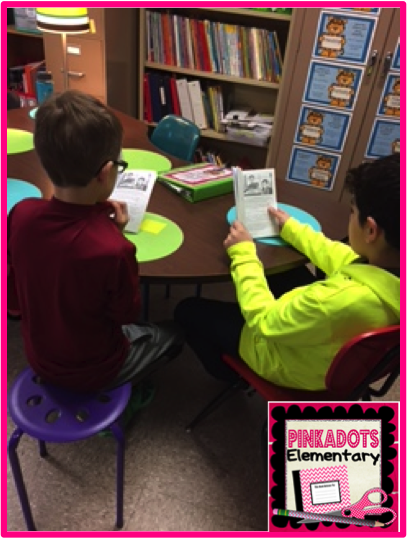 They get to sit in comfy chairs around the room, independently read, and record wonderful vocabulary words they come across in the graphic organizer. I know this is working because I've seen these words show up again in their daily writing and speech! When I rotate to different stations, I will be sure to take more pictures and blog again. I love the idea of focusing on WOW words during independent reading, and have students record them! Thanks! I am looking forward to reading about the other four stations. I love how you have this organized! Hi ladies! Thank you for sharing how you do your guided reading! I love seeing how other teachers do things and I can always find something to incorporate! I wanted to stop by and let you know that I've posted the next product swap sign ups if you're still interested. I'd love to have you!